Our company is concerned with the free sending of most of our brand products to rise to prospective and/or potential clients the possibility of testing our innovations and reaching innovative and quality solutions to the industry. Unfortunately, there are situations where assuming the cost of such sending exclusively by us, will be not fair and possible, so this is why certain restrictions apply. 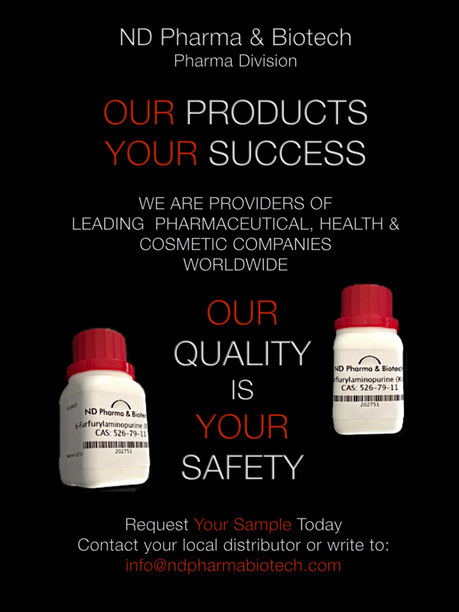 In other hand, certain products, (especially within Pharma Business) are quite expensive even at small quantities, so this is why we strongly recommend to contact your local distributor or sending an e-mail to us requesting sample´s quote before ordering, to estimate the total and fair cost of the order. Help us to work under a responsible sampling policy to prevent time and resources wasting. Please do not ask samples banally or without intention of use it for testing purposes or procedural applications.